ACE Power purchases energy from the Tennessee Valley Authority. TVA is the nation’s largest public utility. Vegetation management helps us provide our members with safe, reliable, and affordable energy. The Mississippi One Call system protects excavators and utilities from accidental dig-ins. During large outages, ACE Power follows a plan to ensure efficient restoration for everyone. 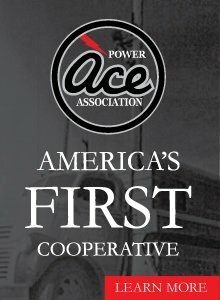 ACE Power member installation standards for electric service.